So in my ongoing search for the go-to place for burgers, I decided to venture out to the recently opened Chur Burger, which is in a narrow laneway behind Albion St Kitchen (i.e. the backdoor of ASK). 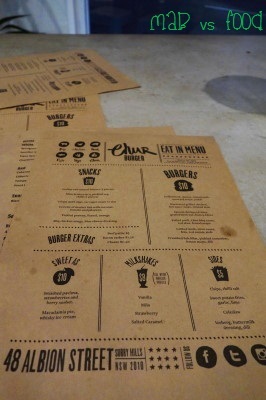 Chur Burger is owned by Warren Turnbull and is open for lunch. The burgers here come out of the ASK's kitchen so I was really looking forward to a great burger. It was quite busy today so obviously there are other people like me who are looking for their lunchtime burger fixes. On the menu is 6 different burgers: Beef, Chicken, Pork, Fish, Veggie and the special Korean BBQ Chicken with kimchi (of course!). There is also the chips with smoked chilli salt (which I didn't try today, but I will come back for those another time). It was a grilled beef burger with cheese, tomato jam, Gherkin, and mustard mayo. Nicely toasted bun, check. Big, fat juicy beef patty, check. Tasty melted cheese, check. All in all, a burger with great flavours. Plus it is priced at $10, so I am definitely happy with that. 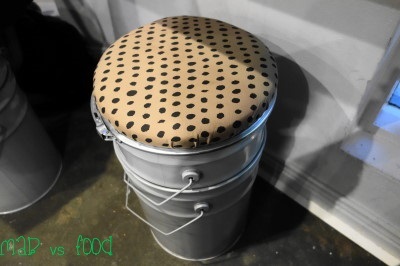 However, being the fussy eater that I am, there are always things that could be better. Although the bun was well toasted and held together nicely, it was slightly soggy because of the mayo (admittedly this is not a huge deal since the mayo was yummy). Also, the beef patty would have been even better if it was cooked closer to medium rare (in my opinion the perfect way for a beef patty to be cooked in a burger). Although by no means was the beef dry, it was cooked around medium to well done. So in my opinion, the burgers here are very good, but not quite as good as the former Plan B (the good ol' days). Having said that, I would be more than happy to come here for my lunchtime burger fixes! And the milkshake was very good. You can see when you lift the lid that there is quite a lot of vanilla in the milkshake. Also the milkshake is quite refreshing, not too sweet and quite light. So a great drink to go with the burger. I left Chur Burger a happy man and made the long trek back to work, which is probably a good thing for me to burn off all those calories I had just ingested! Highlight: Burgers (obviously) prepared by the kitchen of the former Assiette. Chur, bro! (Apparently chur is Kiwi slang for awesome). Lowlight: Chur Burger is incredibly busy so be prepared to wait. 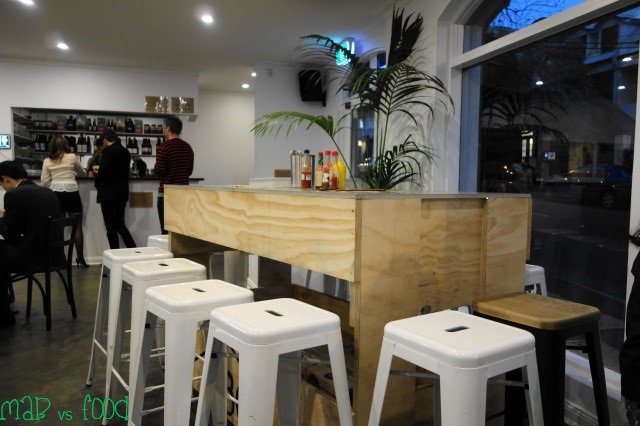 Recently I had the opportunity to try Chur Burger since its reopening following a horrific fire that broke out in its kitchen that has since resulted in the permanent closure of Albion St Kitchen. 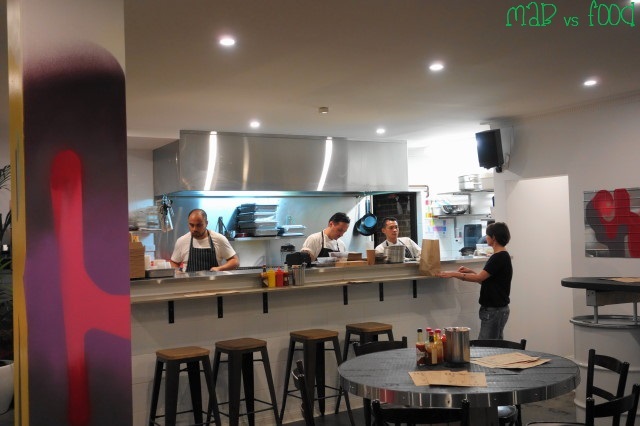 Warren Turnbull decided to convert 48 Albion St into a burger joint, which has proved to be incredibly popular with the masses. I hear that Chur has been churning out 3,000 burgers a week! Chur Burger was my first stop on a Friday night mini food crawl which also included a great margherita pizza at Vacanza and some awesome from local favourite Bourke St Bakery. I hear that Warren is considering opening a second store. I am thinking Newtown, Bondi or Manly are good locations for this second store. I enjoyed the fish burger. The fish had a nicely crumbed and crunchy. What I enjoyed the most about this burger was the combination of pickled cucumber, which gave the burger a lightness and freshness, and the zing from the lemon in the mayo. 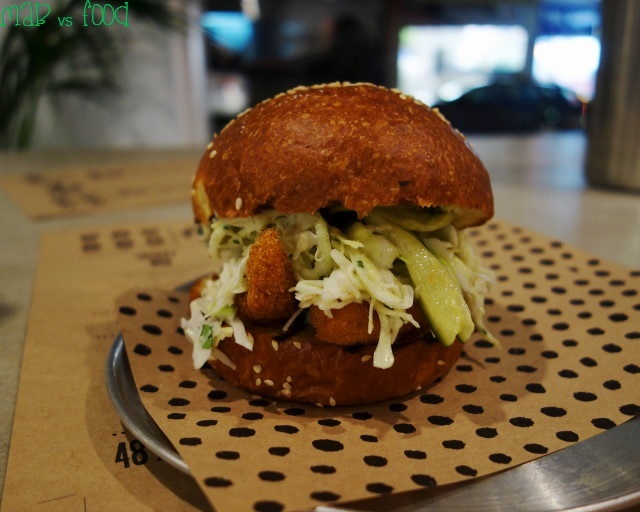 However, I felt the fish itself is a bit lost amongst the brioche bun, coleslaw cucumbers and the crumbs. The beef burger, in my opinion is the better burger out of the two. I love kingfish ceviche so I was immediately drawn to it when I was looking at the menu. This one is a good interpretation. It’s a nice refreshing snack and a great way to start off a meal. 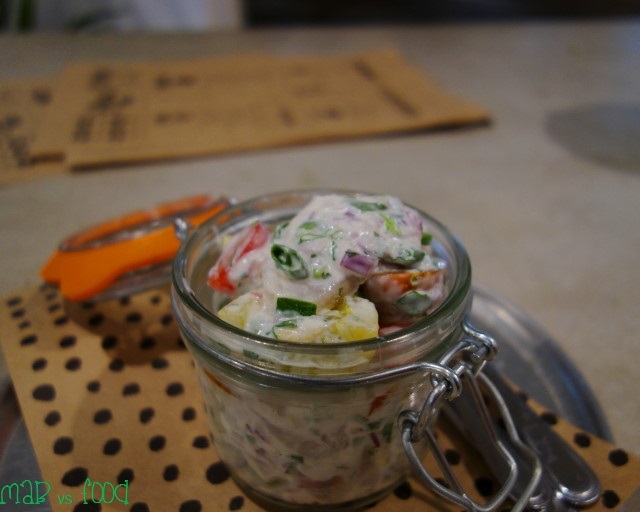 The combination of contrasting flavours from the coconut, tomatoes and jalapenos is not one that I have tried before in a ceviche. I quite enjoyed these flavours. The only problem was that I thought the ceviche was too salty.